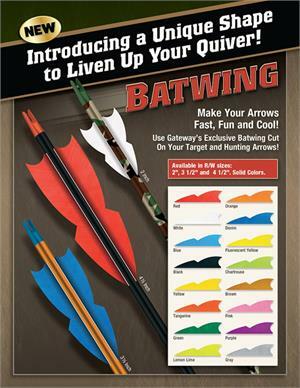 The Batwing shape was designed for target archers who wanted more spin from their arrows. When you fletch a Batwing with a helical twist this shape can provide up to 30% more spin than a regular shaped fletching. Why would you want more spin? Think of a rifled bullet versus a slug. The rifled bullet is much more accurate. You can use big, fat, line cutting arrows and still get your fletching’s to spin the arrow even at an indoor 20-yard shot. Three sizes all for different arrow / bow setups. 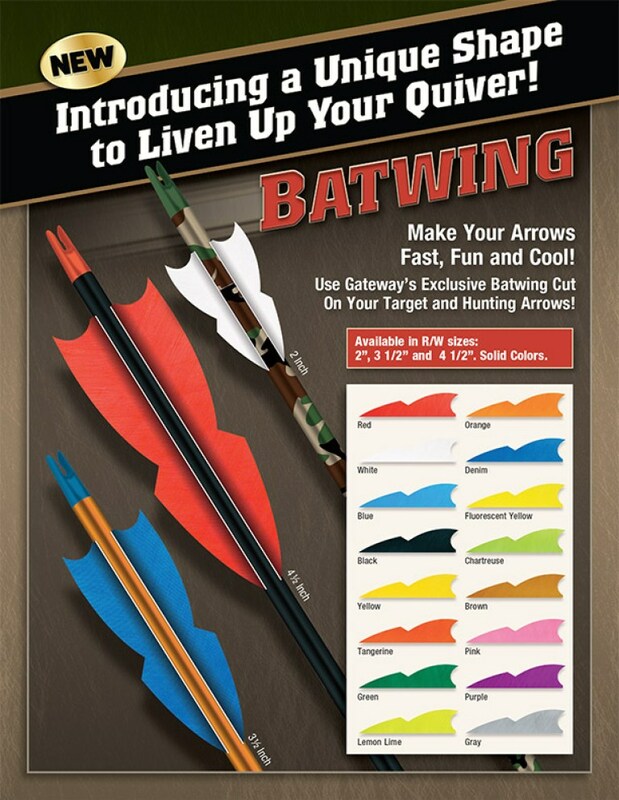 2” Batwings for thin arrows and outdoor shooting. 3 ½” and 4 ½” for larger diameter arrows. Yes, the Batwing can and should be used for hunting. The Batwing will fly fixed blade or mechanical broadheads from a tuned bow.